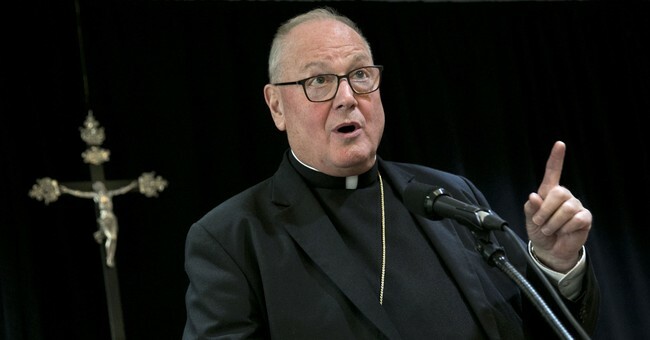 Cardinal Timothy Dolan is fighting back after New York Governor Andrew Cuomo accused him in the New York Times of being aligned with the “religious right” when it comes to abortion. Governor Cuomo has been roundly criticized by Republicans since his signing of a late-term abortion bill into law on January 17, and ordering that the World Trade Center be lit pink in celebration. Many Catholics have also called for his excommunication, as Cuomo identifies as Catholic. On Wednesday, Governor Cuomo published an op-ed decrying President Trump’s position on abortion. The piece also targeted Dolan, a Catholic cardinal in New York. On Thursday, Dolan issued a statement in response to the governor. Dolan also defended himself and his track record on working with Governor Cuomo. When it came to the issue of abortion itself, Dolan clarified that it is not a right versus left or Catholic issue, but a humanitarian one. “The civil rights of the helpless, innocent, baby in the womb, as liberal Democrat Pennsylvania Governor Robert Casey once remarked is not about ‘right versus left’, but right versus wrong,” the cardinal wrote. In Dolan’s view, one’s religious beliefs ought to shape and inform public policy decisions.